100% cold-pressed apple and plum juice. Pasteurized. 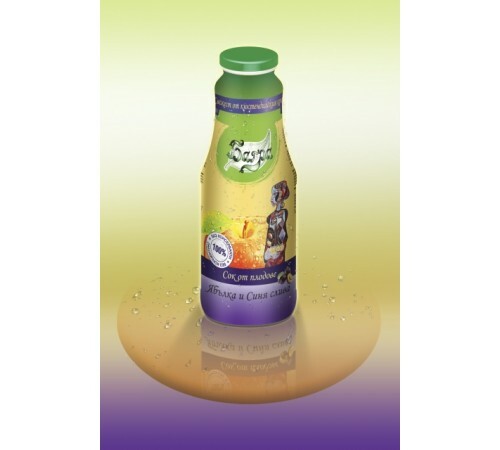 Free of added sugar, sweeteners, water, preservatives, concentrate and flavoring matter. Apples are one of most useful and wholesome fruit, containing almost all vitamins and minerals necessary for the organism. The group of the soluble substances, and particularly the sugars, are the most important substances in the apples. They contain pectin, malic and citric acid and are rich of the vitamins B1, В1, В2, С, Е, Р, and РР. Apples rank among the best fruit-based nutrients for men. Plums are rich of organic acids, pectin, tannins, mineral salts, and vitamins and along with their gastronomic qualities have a medicinal effect.